Lucy and her good friend Carol Krausmeyer find themselves at the unemployment office after Harry fires Lucy once again. They decide to put on a show to raise money, with the help of many other unemployed entertainers in the office, entitled "The Unemployment Follies". This salute to Hollywood of Yesteryear highlights Richard Deacon and Carol spoof as Nelson Eddy and Jeanette MacDonald; Carol and Lucy (as Betty Grable and Alice Faye) doing "Chicago" and "Alexander's Ragtime Band"; Lucy as Marlene Dietrich singing "Falling In Love Again"; a Ruby Keeler take-off by Carol: Lucie Arnaz and tap dancer Clarence Landry in a salute to Bill 'Bojangles' Robinson; the cast joins in for "Hooray for Hollywood" and "Singin' In the Rain" with Jack Benny in a cameo role. 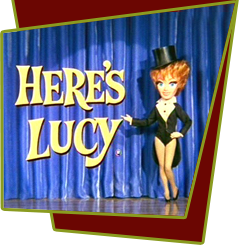 Special Notes: The dress that appears on the "Vivien Leigh" dummy was previously worn by Lucille in season3, episode #81 of The Lucy Show, "Lucy and Arthur Godfry". It will return in season 4, episode #73 of Here's Lucy, "Lucy and Flip Go Legit", during the "Gone with the Wind" sketch, in a slightly altered state. This episode is also known as "The Hollywood Unemployment Follies" to distinguish it from the other episodes of the same title that featured Carol Burnett.